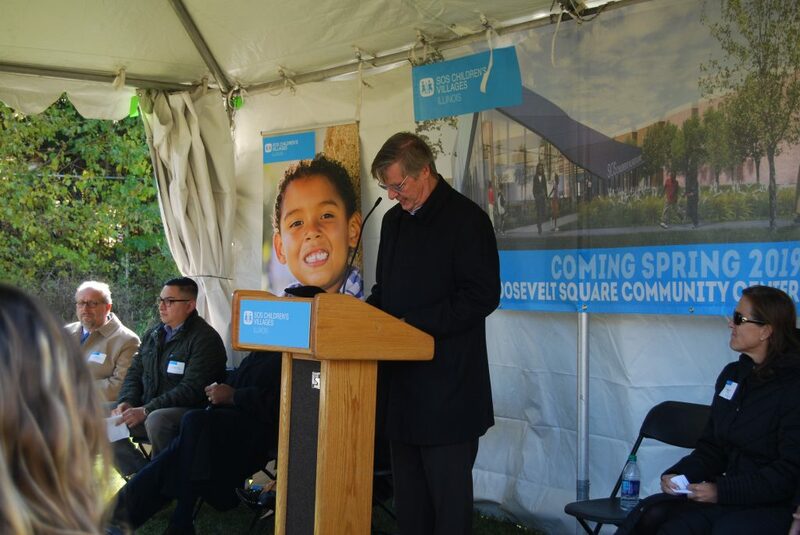 SOS Children’s Villages Illinois unveiled the final design and plans for the Roosevelt Square Community Center at a special announcement on Wednesday, October 24 at 13th Street and Blue Island Avenue in Chicago, Illinois. 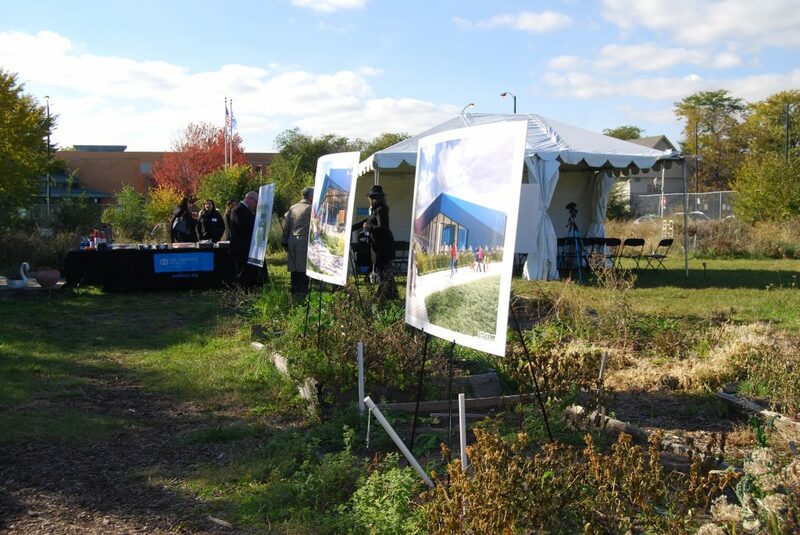 In attendance were corporate partners, Board Members, and staff in support of the project, which will serve the SOS Illinois Roosevelt Square Village and surrounding neighborhoods. The collective contributions made by so many, have made the difference in the project. SOS Illinois Board President Don Biernacki thanked fellow board members and Lendlease for their work on the center. 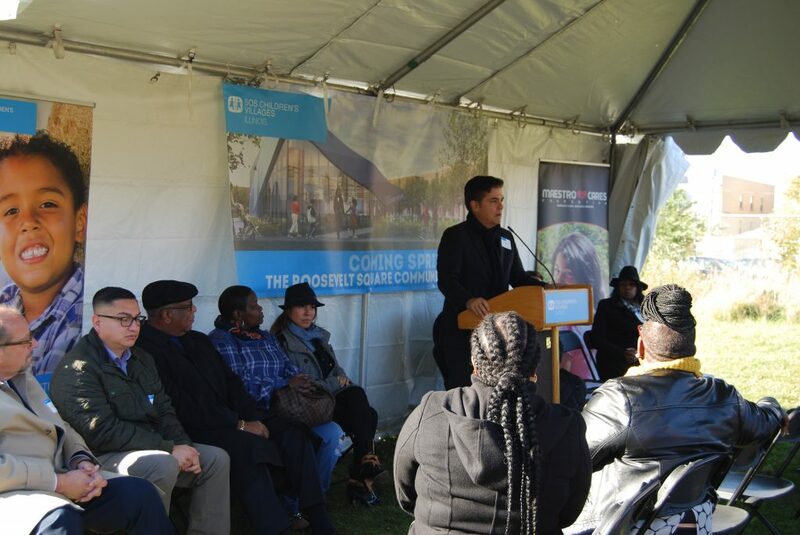 Additionally, the City of Chicago was recognized for its support for our Village homes and this center; and key to that backing has been Alderman Danny Solis and his Office of the 25th Ward. The final designs were displayed in a garden walk for attendees to view, admiring the intentionality of the design for the specific community it will serve. SOS Illinois looks forward to being a part of the ever-changing landscape of the City of Chicago. The new center at 13th and Blue Island will infuse a community with hope and healing, and most important of all continue to provide services promoting permanency to help build the future of foster care. To donate to this project or learn more about the Community Center, visit here.